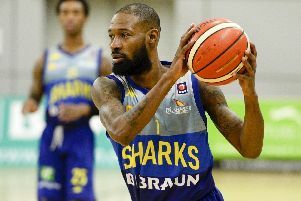 DBL Sharks Sheffield aim to put a poor opening weekend of the BBL season behind them on Friday night. Sharks suffered a 79-58 defeat against Leeds Force after being beaten 85-54 by Leicester Riders the night before. Wolves know that Sharks will want to get the results out of their system. Worcester started the season 1-1 after claiming a thrilling overtime win against Cheshire Phoenix on opening night before pushing Leicester Riders close. Sheffield host Plymouth Raiders on Sunday at 2pm.